The department will continue to work cooperatively with states and territories to assess needs as they develop and respond accordingly, said U.S. Secretary of Labor Alexander Acosta. Nova Southeastern University’s Puerto Rico Regional Campus will be closed today until further notice, in anticipation of the effects of Hurricane Irma, Julie Spechler, director of public relations and marketing communications for the school said. “NSU is closely monitoring Hurricane Irma and the effects it may have on Puerto Rico and Florida. The safety of our students and faculty/staff is always our first priority,” she said. “Please monitor NSU’s hurricane website and 800-hotline for the most up-to-date information on additional campus closings, re-openings and event cancellations,” she added. New information is updated on the hotline and posted on the website as frequently as warranted. Information may also be distributed via email, text messages and social media outlets. In addition, local television and radio will be used to reach those who do not have access to a telephone or to the Internet, she said. Meanwhile, El Yunque National Forest will be temporarily closed due to passing of the tropical phenomenon that is expected to pass by the island as a Category 4 hurricane starting Wednesday. Sharon Wallace, Forest Supervisor said with the anticipation of hazardous weather through the island, El Yunque National Forest will be closed to the public effective today. 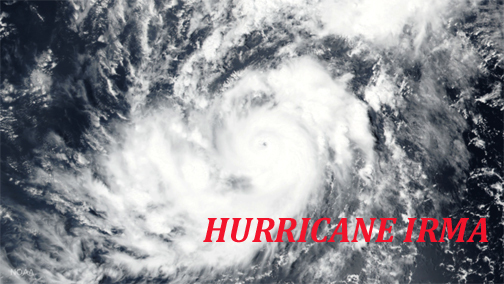 “Due to expected rainy and windy conditions associated with Hurricane Irma and as a precaution for visitor safety, the Forest and facilities will remain closed to the public until further notice and once roads and recreation facilities are determined to be safe to re-open,” Wallace said. The public is advised to monitor weather updates and media advisories as to when the Forest will re-open or follow the Forest Twitter page at: www.twitter.com/elyunquenf. Hey Buddy!, I found this information for you: "Institutions announce closings ahead of Hurricane Irma". Here is the website link: https://newsismybusiness.com/institutions-announce-hurricane/. Thank you.